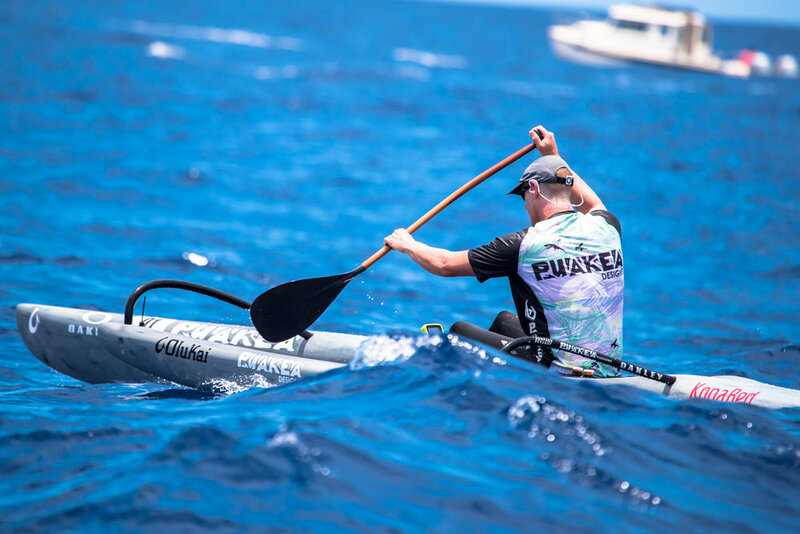 Puakea Designs is proud to present the Kahe Kai. 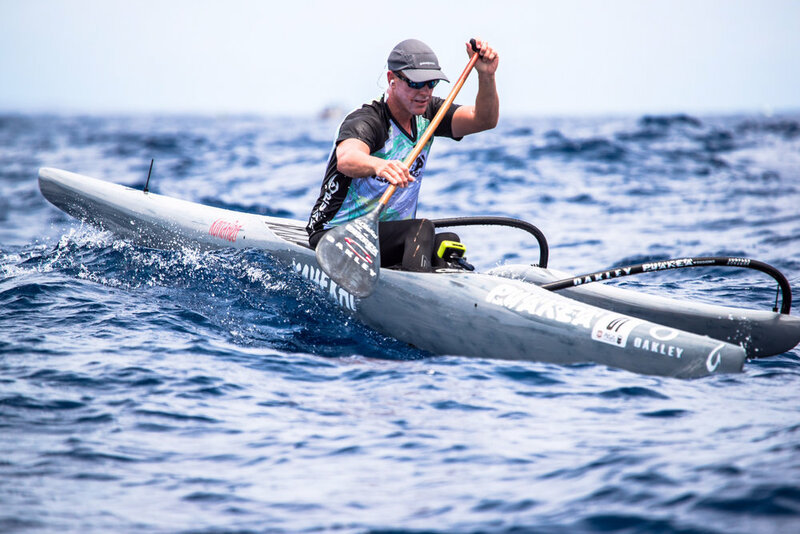 Delivery of the first canoes occurred only days before the 2016 Molokai Solo, but team riders Jimmy Austin and Daniel Chun liked it so much they decided to race the new canoe. 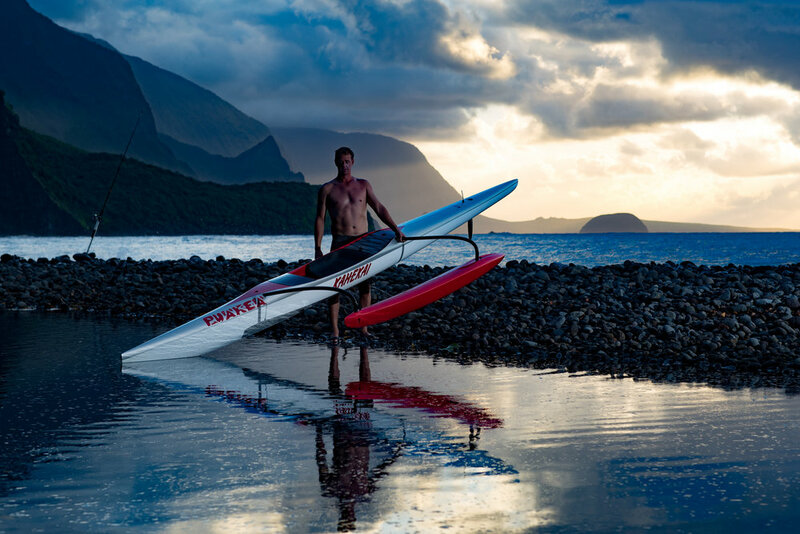 The Kahe Kai’s new design is ideal for men and stronger women weighing 140 - 250+ pounds. 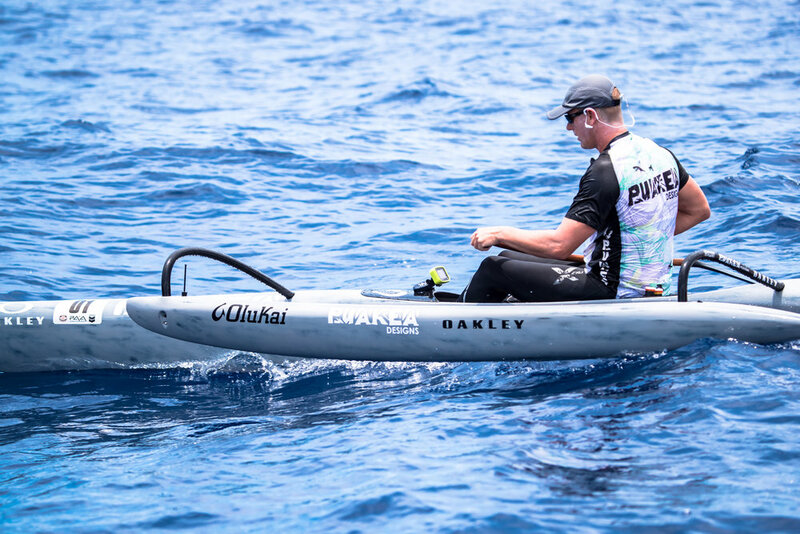 The canoe displaces 10 more pounds of water than the Ehukai. 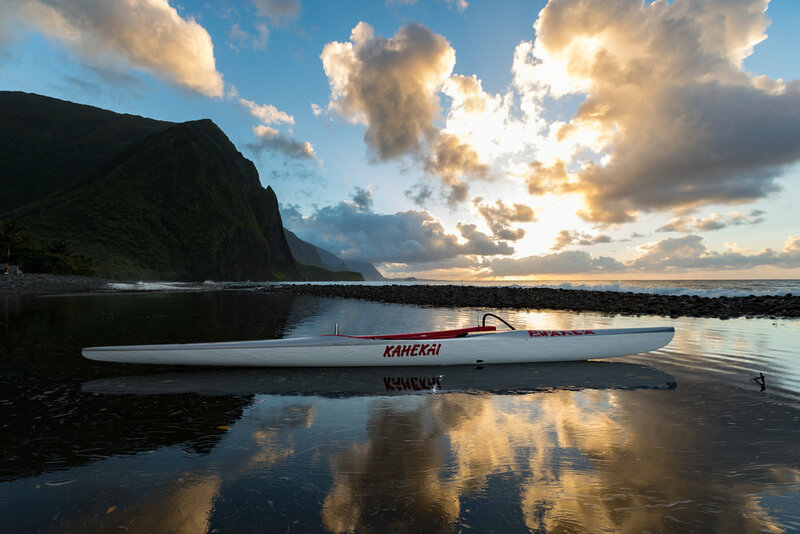 The Kahe Kai is 1/4” wider and has less rocker than its predecessor. Volume has been moved further forward, and several changes were made to keep the Kahe Kai drier during surfing. The bow is 3/4 inch taller; the cockpit rails are taller as is the foot well cover. The seat placement has not changed, but we did make it 1/4 inch wider and 1/4 inch lower. The rudder was moved up 3 inches and the foot wells are narrower and deeper than the Ehukai. 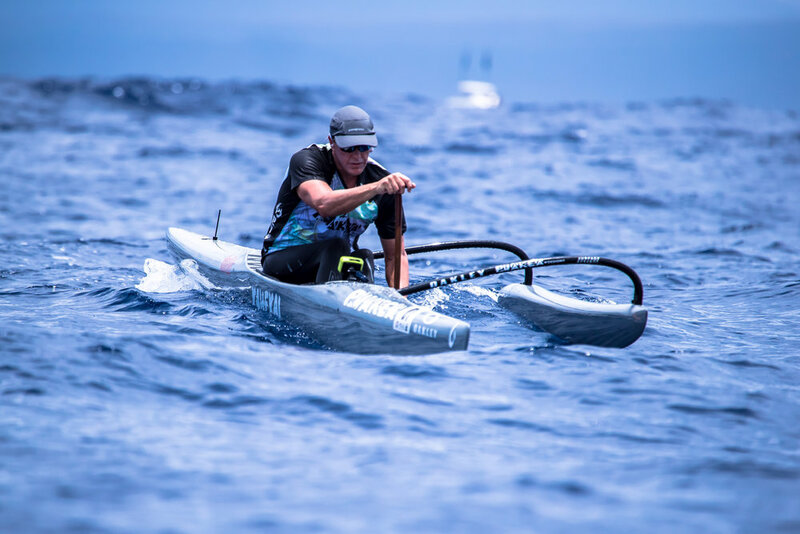 Whereas conventional canoe manufacturing methods use vacuum bagging technology, Ozone’s pre-preg one-piece bladder mould and autoclave technologies enable superior material strength. Unidirectional pre-impregnated carbon composite fibers around core-cell foam create an ideal resin-to-fiber ratio for a cleaner lamination with less material waste, while the autoclave uses atmospheric pressure and high heat (220 degrees) to create a stronger material bond with greater PSI. This strong bond also minimizes lamination distortion from the heat and sun over time. 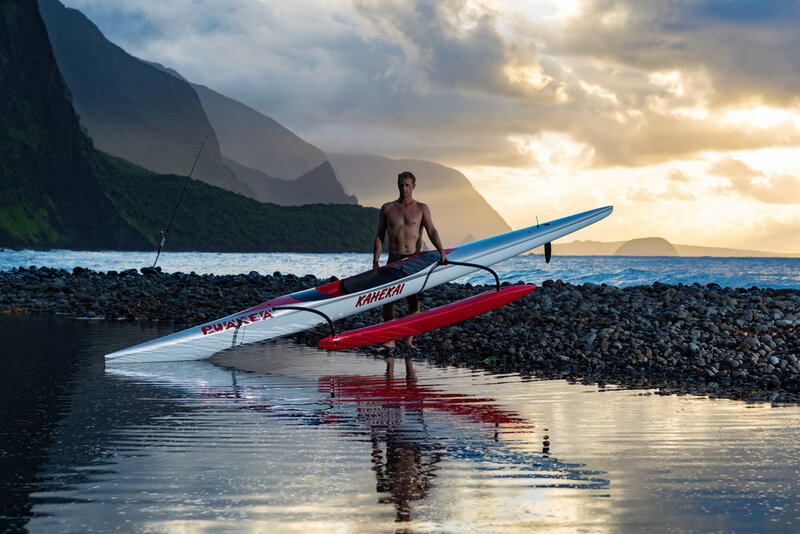 The Kahe Kai also comes in the Pro Model at 16lbs. plus other upgrades! More info here. Waterline: 19 ft. 2 in. 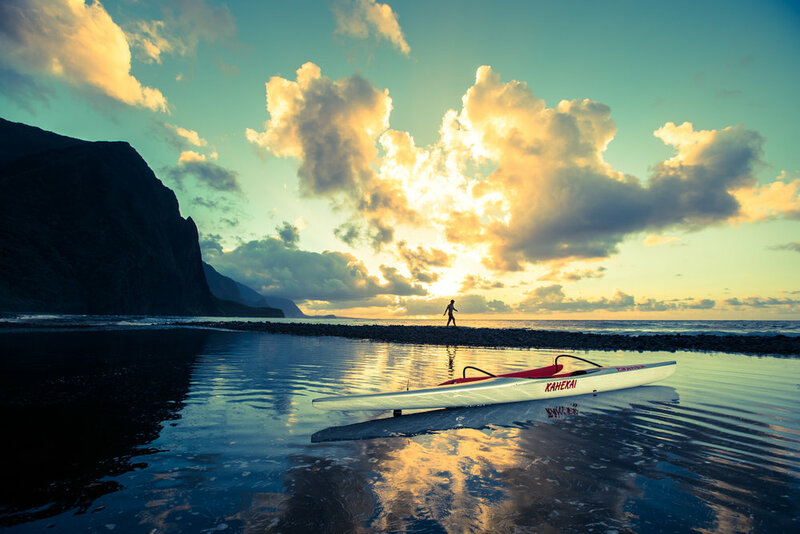 Check out our Kahe Kai inventory here!